We're all infected with a spiritual disease. Its name is shame. Whether we realize it or not, shame affects every aspect of our personal lives and vocational endeavors. It seeks to destroy our identity in Christ, replacing it with a damaged version of ourselves that results in unhealed pain and brokenness. But God is telling a different story for your life. Psychiatrist Curt Thompson unpacks the soul of shame, revealing its ubiquitous nature and neurobiological roots. 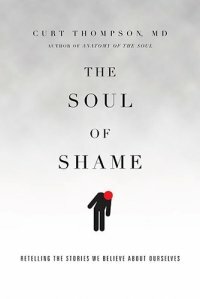 He also provides the theological and practical tools necessary to dismantle shame, based on years of researching its damaging effects and counseling people to overcome those wounds. Thompson's expertise and compassion will help you identify your own pains and struggles and find freedom from the lifelong negative messages that bind you. Rewrite the story of your life and embrace healing and wholeness as you discover and defeat shame's insidious agenda.